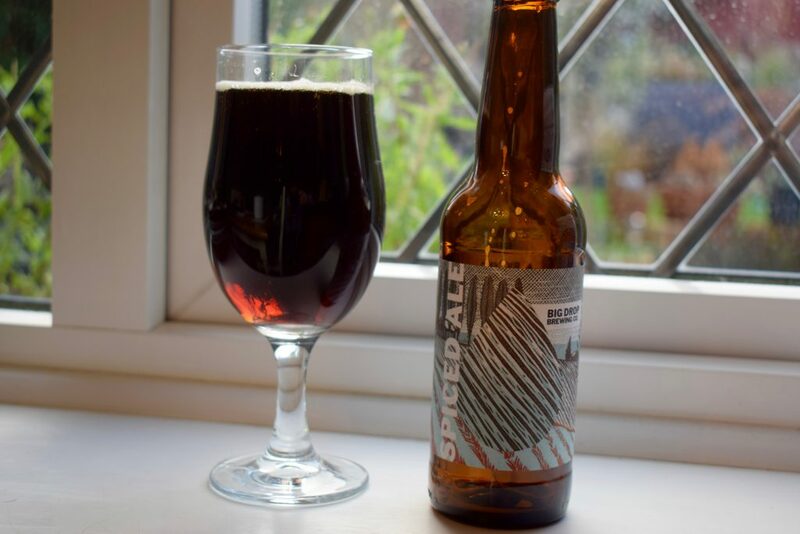 I’ve never been a fan of spiced beers. Usually brewed as seasonal beers in the run up to Halloween or Christmas, I’ve always viewed them as bit of a fad. Often overly sweet and unbalanced, they rarely taste good. I much prefer a good stout instead over the colder months. 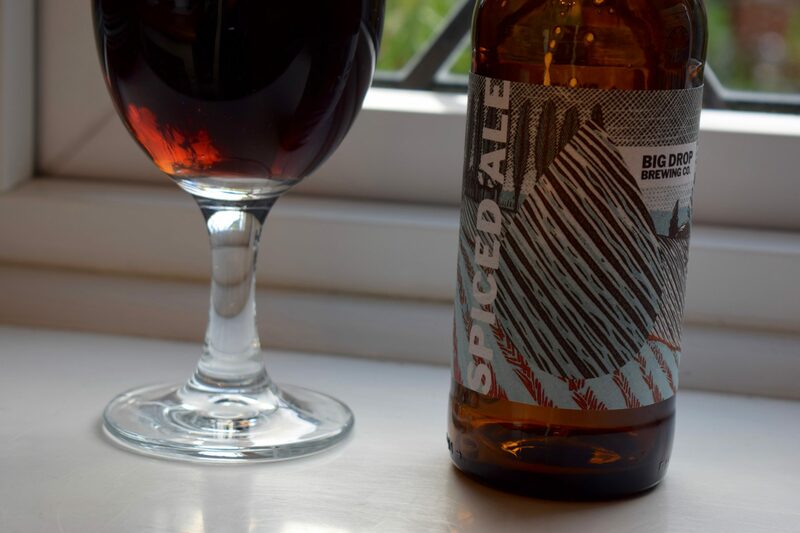 This is why I was surprised to see a spiced ale among Big Drop Brewing’s core beers. Simply named “Winter Ale” (formerly “Spiced Ale”), this beer – like the brewery’s other beers – comes in at 0.5%. The spices in this one are cinnamon, ginger, nutmeg and cloves. There’s also some lactose, presumably to give the beer more body. So it’s not suitable if you’re a vegan. When I poured this beer, the dark colour surprised me – for some reason I was expecting a light beer, not a dark ruby one. It produced a modest head and looked rather inviting in all. Apart from a whiff of cloves, the aroma of the beer doesn’t give too much away on the spice front. Instead the smell is mostly malty with some burnt chocolate thrown in. It wasn’t until I took a gulp that the spices made themselves known. 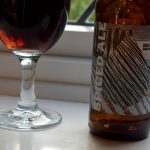 But they weren’t overpowering like so many of the substandard spiced beers I’ve had in the past. Instead, they add a little warmth to the sweetness provided by the lactose. The lactose also helps provide the mouthfeel you’d get with a higher-ABV dark beer. There’s a little bitterness, but it doesn’t linger. The carbonation is great too – there’s enough bubbles to bring out more of the flavours and tingle the tongue without being too gassy. The finish is quite sweet, almost berry-like. The cinnamon leaves a pleasant dryness in your mouth after each sip. If you’ve been stung with poor spiced beers in the past, don’t let that put you off getting hold of this one from Big Drop – it’s a superb beer with an interesting aroma, a warm and balanced flavour and pudgy mouthfeel. Don’t let the time of year put you off buying this beer either. Because the spices complement the beer, rather than overpower it, you don’t just have to crack this one open by the fire.